After outgrowing their Stockport offices, music collective company, Scruff of the Neck, have packed up their bags and are moving to a new swanky office in the Northern Quarter. Stuck in between offices, Graduate Chris Brearley and the rest of the Scruff of the Neck team set up base for a week in our studios. 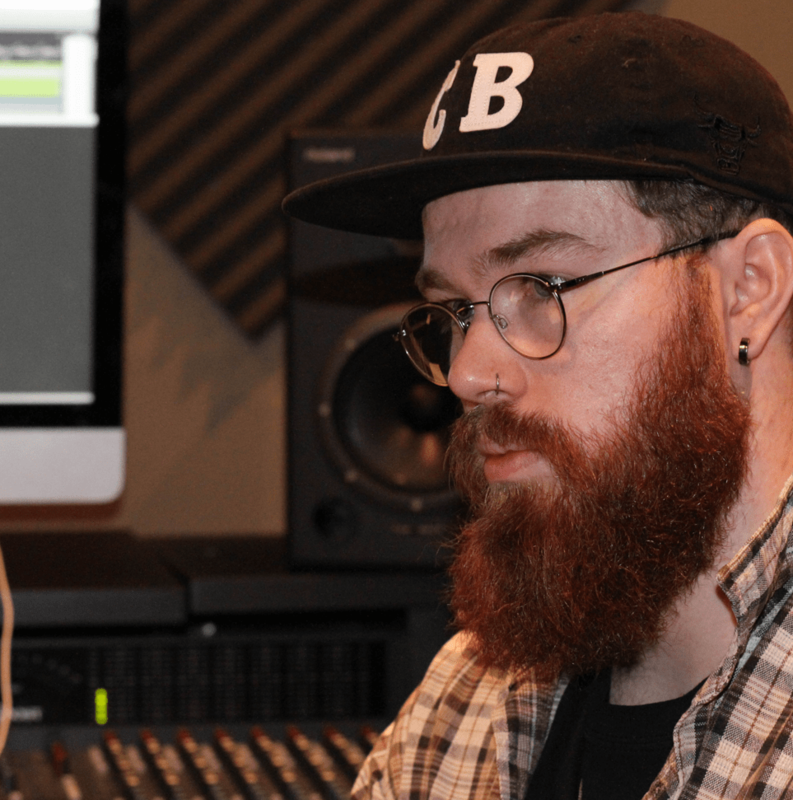 Busy working on The British Sound Project while undergoing the big move, we caught up with Chris to hear what he has been up since graduating and see what is next in the pipeline. So Chris, it’s seems you’ve managed to grow an impressive beard since leaving us, before we find out what else you’ve been up to, what first inspired you to get into the music industry? I was a musician and studied music production at college and learnt the production and live side of things there, before I decided to move over to the business side of the industry when I started here. I think the staff, above all else, were great and always there for me whenever I needed them. I was quite lucky that I was in a small group as well, so I could always get a lot of face to face time with the tutors. So how did you land yourself a position at Scruff of the Neck (SOTN)? At the start of 2nd year, I started up an Events Promotion company, Flat Plastic, with one of the other guys on my course, Tommy Ford. Over the course of the year, Mark – the founder of SOTN – regularly kept in touch and it slowly built to the point where he offered me a position. That’s pretty cool, so did you go straight to SOTN when you left? No, when I graduated, I carried on growing my own company. I only started with SOTN just after December 2017. Prior to that, I just did my own thing. I worked on the British Sound Project for the first two years that it was running and I’ve just brought that over to SOTN now, so I’m working on that at the moment. I’ve done all sorts of bits in between; web design and things like that just to keep my own music business afloat. Luckily it’s turned into a full-time job. You’ve done your fair share of things then! What do you like most about working at SOTN? The way the company is set up; we have Live Events, Artist Development and Management, and we also have Creative Services where we do everything from music videos to PR campaigns. We take an artist on their first gig and literally develop them to the point where they’re ready to be taken to the wider industry. However, my main responsibility is the event side of things. Nothing better than when you’ve got a packed room full of people and the gig is running as it should. There’s a lot of pressure running a really big show, but I enjoy it. What’s been your favourite project that you’ve worked on at SOTN? The biggest show I’ve worked on to date was with Larkins. They’re a band who SOTN have worked with pretty much from their first show. Luckily, I came in at a time when they were just taking off. They’ve gone from selling 30 tickets in The Castle to 900 tickets in Academy 2, so there has been a really big progression for these guys. Exciting times ahead! So, what’s next in the pipeline? We’re expanding at the moment and about to move into a new office in the Northern Quarter. We’ve gone from 3 staff to around 10 just in the past few months. So, we’re stepping things up now and this year will hopefully be our biggest year yet. We’re working with the British Sound Project again, which is taking place on 22nd September at Victoria Warehouse. That’s always been great to work on; I’ve worked on that since its first year. Franz Ferdinand and The Cribs have been confirmed and we are just about to announce another massive Manchester headliner. We’re also working on a tonne of other festival bits this year including Dot to Dot, The Great Escape, Head For The Hills and Tramlines to name a few. 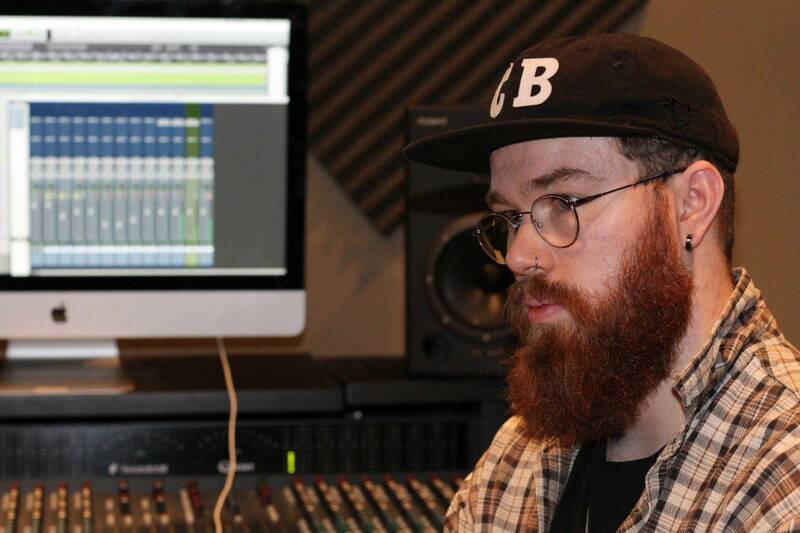 What advice would you give to current Music Business students? It took me until 2nd year to really get the ball rolling, but there’s no reason why I couldn’t have started in my first year. I think it’s really important to network and meet new people. 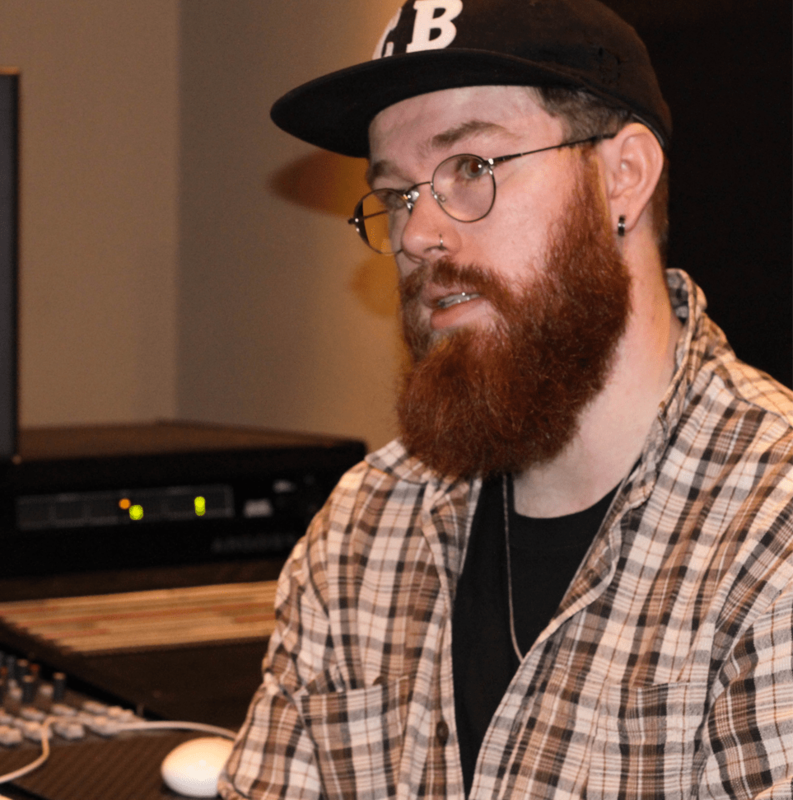 I’ve been really lucky as my Music Business tutors, Danny Wareing and Jo Hilditch, introduced me to contacts in the industry, which has really helped me get to where I am now. Also, you can’t just wait for a job to turn up. Sometimes you just need to create your own by starting your own project. It’s hard to get your foot in the door, but I think, just to get yourself working with artists at a grass roots level is a really good way of getting you into the industry. So, you graduated in 2016. You’ve obviously got a lot of experience under your belt; how does it feel to be back? It still feels quite normal to be honest, it feels almost a bit like home. It’s a great place to work. It’s great to have you back. We hope the move goes well and look forward to seeing what you get up to next.